Benihana menu prices delivered chop-chop! Benihana is a leading Asian-themed restaurant chain based in the U.S. Benihana’s skilled teppanyaki chefs prepare Asian favorites in a family-friendly, entertaining performance. If guests are not interested in their meal being prepared on the hibachi grill, they can order signature Asian dishes prepared by expert chefs. Along with a Lunch & Dinner menu, Benihana also offers a Happy Hour menu. Kids get special treatment with their own Kabuki Kids menu. Be sure to follow and connect with Benihana through various social media platforms. Below are the latest Benihana menu prices. The Chef’s Table® is Benihana’s exclusive email club where members get all the latest news and special offers delivered directly to their email. For joining, members also receive a complimentary $30 birthday certificate for use during the month of their birthday. Sign-up is quick and free. Reservations are strongly suggested especially if you are celebrating a special occasion or dining as part of a large group. Benihana makes it simple to reserve a table with their online reservation feature. Can’t get online? You can also call your favorite Benihana location to make a reservation. You can purchase traditional cards online and have them delivered via postal service or you can purchase e-gift cards. E-gift cards are purchased online and delivered to the recipient’s email inbox instantly. You can also order the one-of-a-kind ‘Be The Chef’ gift card. With this gift card, the recipient will train with a master teppanyaki chef and then get to show their skills with a special performance to three guests. Benihana is always looking for people that are outgoing and hard-working. If you enjoy providing great customer service and are high energy, Benihana is the place to start your career. Benihana will train and develop your skills and give you the opportunity to succeed. Benihana offers a competitive pay and benefits package, plus a flexible schedule. Check out the Career page on the official Benihana website. Benihana was started in 1964 by Hiroaki “Rocky” Aoki in New York City. Rocky used the money he earned while driving an ice cream truck to open the restaurant. With the careful expansion, Benihana expanded to 11 restaurants up until 1983. From 1983-1997, Benihana expanded to 47 locations. After several ownership changes, in 2012, Angelo, Gordon & Co. purchased Benihana and became a privately held company. 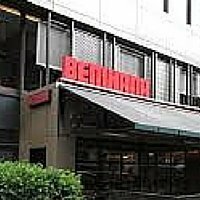 Today, there are over 70 Benihana locations with corporate headquarters in Miami, Florida. For more information about Benihana, visit their official website. 3.75 for water to drink. Great deal. I’ve been with them for several years as a Birthday Club member every single year from the beginning I’ve had problems with the company only sending 1 Birthday special either my husbands or mine but we’ve never ever gotten both of ours when we were suppose to get it. This year neither one of us got our Birthday Club I called several time b4 the Birthday but to no avail when they finally responded to me it was past our Birthdays and they told us we can’t get the Birthday Discount this year because it’s pass our Birthdays. Normally we go to Benihana’s and take guest with us but this year no way & our Wedding Anniversary is normally spent there also but not this year no way tomorrow is our Wedding Anniversary and if I can’t get our Birthday specials this year they will not be getting our money @ all this year along with our friends who were ready to go with us on our Birthdays and our Anniversary but I told them we weren’t going this year & I explained why it’s been at least 10 years we’ve been doing this but when our Birthdays come along I have to fight to get them. This year even thought I fought for them by the time Benihana’s got back to us it was past my husband’s Birthday so they refused to send it after a Birthday, plus I started on my Birthday fight with them for myself which his Birthday is in June mine is July but to no avail they again refused me. I’ve never been. Was planning to go first time for my birthday. I’m skipping too. No way to treat regular customers.